News TV Channel / SAMAA TV is a Pakistani news and entertainment television network. Competitors include Dunya News, 92 News, ARY News, KTN News, and Express News. But the most famous ones are Geo News and Samaa TV. 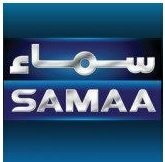 SAMAA TV is a leading Pakistani news and entertainment network.